Neural plasticity involves the brain and its ability to wire and re-wire itself based on stimulation from the outside environment. This stimulation comes from exploration, experiences, exposure, or even specific training through early intervention. Neural plasticity suggests, as evidenced by the neuroscientific study of the central nervous system, that the brain is “plastic” or in a sense, moldable and able to be changed to some degree with stimulation and learning experiences. The brain remains plastic throughout the human lifespan, but most research indicates that it is the most moldable within the first three years of life. 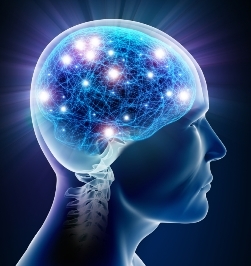 During these first three years, the human brain undergoes immense growth with sprouting of new nerve cells and forming of new neural cell-to-cell connections at a rapid pace. These new neurons grow and sprout in anticipation of a newborn young child being able to explore and learn about their surroundings through the senses of smell, sight, taste, hearing, touch, and proprioception. All of the body’s senses and sensation mechanisms arise from the central nervous system, which is composed of the brain and spinal cord. The phrases “Use it or lose it” and “Neurons that fire together wire together” hint at the importance of experiences, stimulation, interaction, and engagement, particularly with very young children. Rich sensory stimulation helps the young brain form new and lasting neural circuits that in turn supports a child’s ability to learn and understand more about their surrounding environment and world. Opportunities to see, move, smell, touch, taste, hear, and feel are necessary to facilitate ongoing brain growth, as well as physical, social, and emotional development. Early intervention services, such as those provided by Visually Impaired Preschool Services (VIPS), capitalizes on the brain’s exceptional ability to grow and change during the first three years of life. Initiating services early on affords the advantage of intervening when a child is at a prime age to respond relatively quickly to stimulation that boosts brain development, and when the brain has its highest potential of neural plasticity and change.